Looking for short haircuts for long faces that are flattering and stylish? Short hair can be fun, ultra-flattering, and easy to wear. And when it comes to finding the perfect short haircuts for long faces, there are actually lots of options that can work really well for your facial features, giving you a sophisticated look and a manageable style at the same time. Don’t believe us? Read on to discover five awesome cuts that you should definitely try out now. This version of the bob is super flattering as it can help create fullness to balance out your longer face shape (added bonus if you also opft for a rounded fringe, which works in the same way). To get the look, use a smoothing cream, like VO5 Smoothly Does It Frizz Free Creme (£3.99*) on your damp hair before blow-drying, using a round brush to create gentle curves at the ends by tucking them towards your face. Tip: create extra volume with your brush by lifting the sides of your mane as you blow-dry. 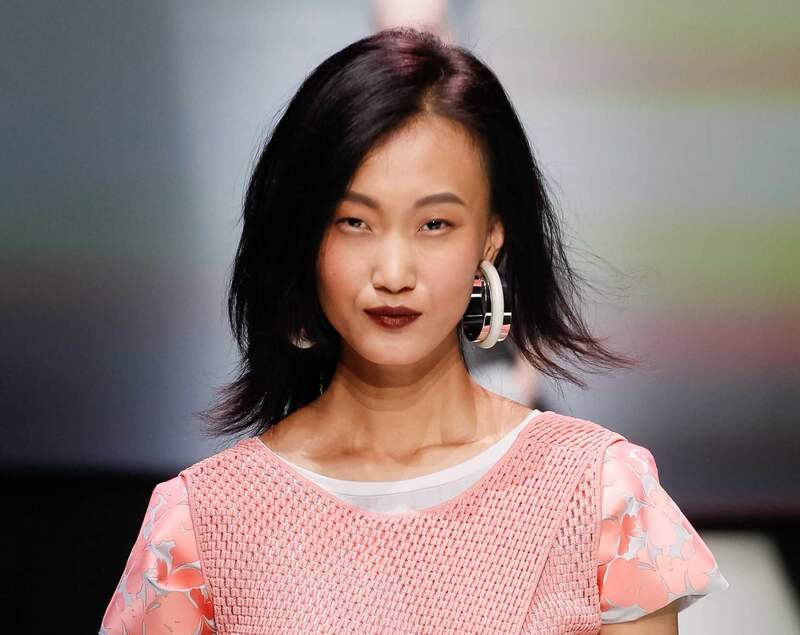 The most effective short haircuts for long faces usually flatter and soften the length of your face shape by creating a little more width to help bring balance, and flipped-out ends work great for this. To create the look, apply a bounce-boosting product, like TRESemmé Max The Volume Root Lift & Texture Foam (£5.50), which helps to lift roots and texturise lengths, to towel dried hair before rough drying. Tip: lift hair at the roots with your fingers as you dry for added volume. Once 80% dry, use a medium round brush to flick the ends of your hair away from your face as you blow dry. Finish off with a light touch of the VO5 Classic Styling Ultimate Hold Hairspray (£3.29*), and you’re done! 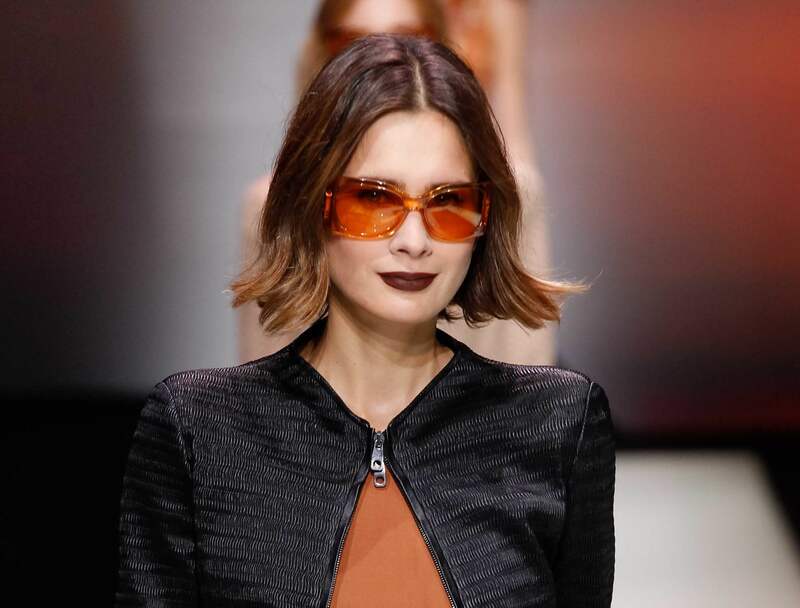 This bold and edgy look is perfect for longer faces as its asymmetrical lines not only help to create width, but also make a seriously stylish impact. To get it right, opt for a chin-grazing cut on one side and keep the other longer, around shoulder length, for a width-enhancing illusion. Or, if you want a shorter overall look, you could start with a pixie-length crop on one side while keeping your hair falling just below your chin on the other. Just remember to blow dry both sides to keep them looking smooth and polished. Tip: a sweeping side parting or side fringe can really help to enhance this look! 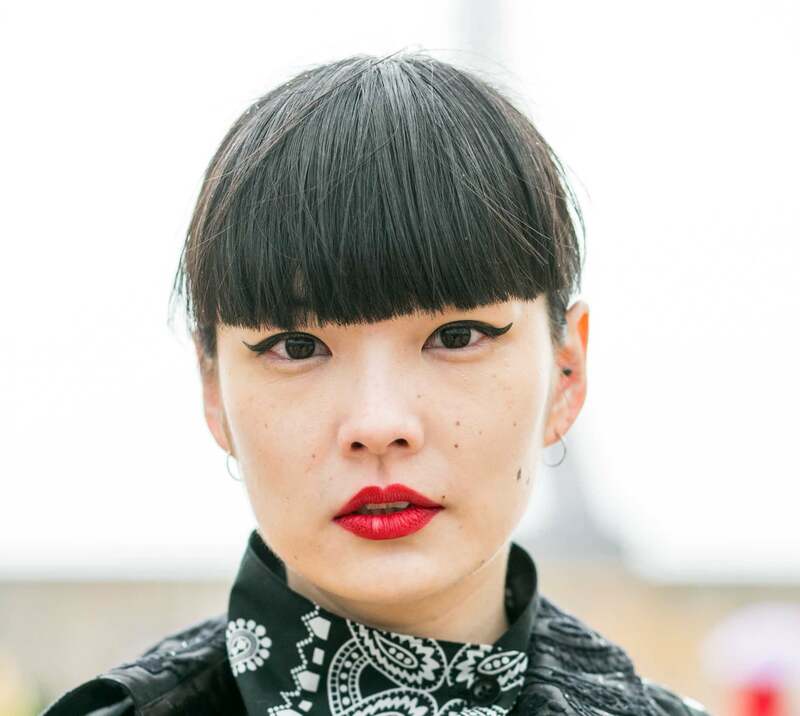 A full fringe that stops just above the eyes is a great addition to short haircuts for long faces as its shape can help to bring more balance to your face, making it appear a little shorter and fuller. To nail the look, try pairing your bangs with a long bob hairstyle, keeping the ends softly feathered for a more modern finish. 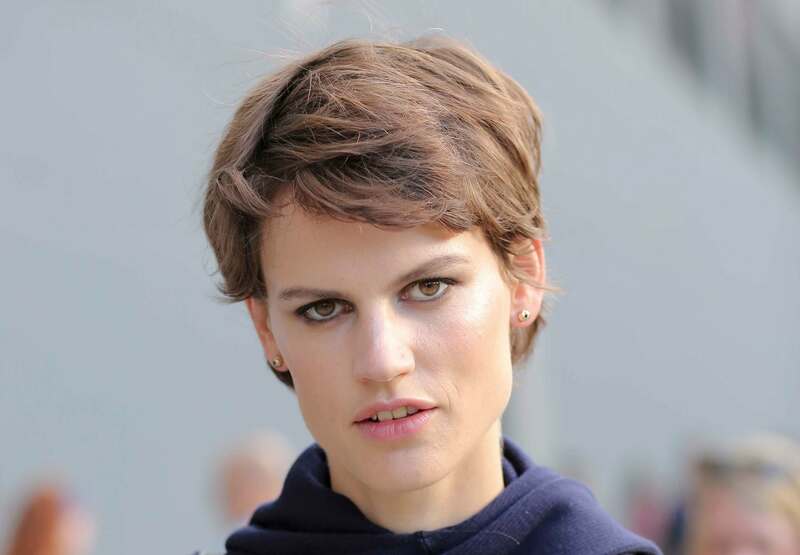 Yes, you too can rock a super cute pixie cut! The reason this hairstyle is a good option for your face shape is that it can help soften your long features. To get it right, simply sweep your hair across your face to make it look more rounded, and remove some of the volume on top. The great news is this hairstyle works well with all kinds of hair textures! For best results, just mess it up and create a softly tousled effect by spraying a small amount of salt spray, like Toni&Guy Casual Sea Salt Texturising Spray (£7.49*), on damp or dry hair and style with your fingers. Attending a special event? Keep it smooth and polished and try adding a hair accessory for a gorgeous look! Which of these short haircuts for long faces is your favourite?